OMG I TOUGHT I HAD ALREADY POSTED THIS… better late than never…lol…Ok I have to admit that I have become addicted to Pinterest and this was the cutest idea I had seen lately. 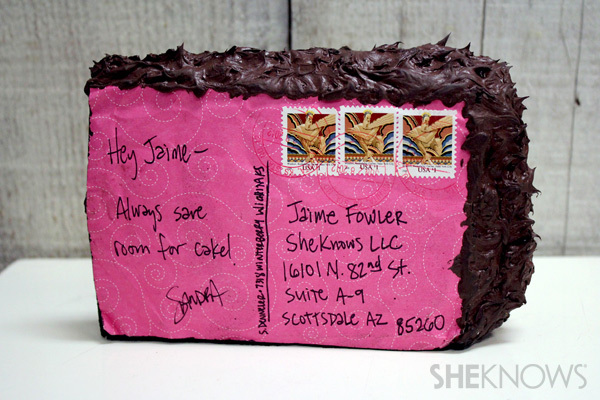 Its a slice of CAKE THAT IS MAILABLE. I haven’t made any yet but hey I just got back to WA…but its on my list of doable things now they noted that you might need $3.00 in postage to actually mail it and she also claimed that it could go thru the mail just like a funky postcard…..however, I think I will make it like a postcard and then actually mail it via a cushion envelope…it shouldn’t cost any more and as soon as I get one done and in the mail…I will let you know what I paid for mailing. I know that seems like a lot but since I don’t send folks gifts I kinda feel like I can spend the extra postage give them a really WOW card. 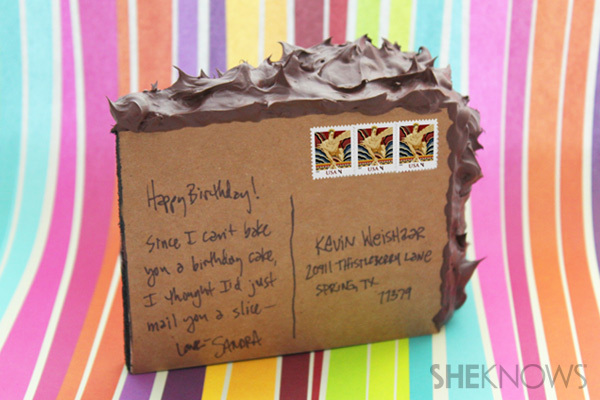 It also looked like she wrote on the card part AFTER it was glued to the sponge but I am fairly certain that I will be writing the card part before I glue it to the sponge. 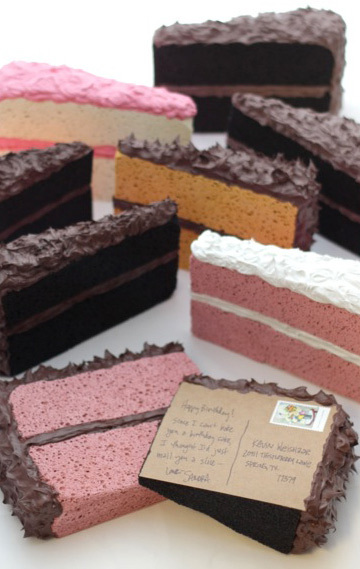 Yep… these are all made from sponges…. but they look so real you could eat them .. I should also tell you that I bought my cheap sponges at FREDDIE’S in the auto section and they took a lot of paint and they still are not totally covered but the icing will cover the yellow… I did find the good sponges or at least the ones she used at a SHERWIN WILLIAMS PAINT STORE and they only had a couple but told me they could order as many as I needed… good to know..also where I found the icing/caulking stuff in a variety of colors. ALSO YOU NEED TO GIVE THEM TIME TO DRY…..I would guess at least an hour depending on how much humidity you have in the air… don’t speed it up with embossing tool ( I know I could see your little eyes going well I can hurry that along. )..WRONG…it gets too hot and it will melt your sponge…JUST SAYIN…Patience is a virtue …ok go for it. 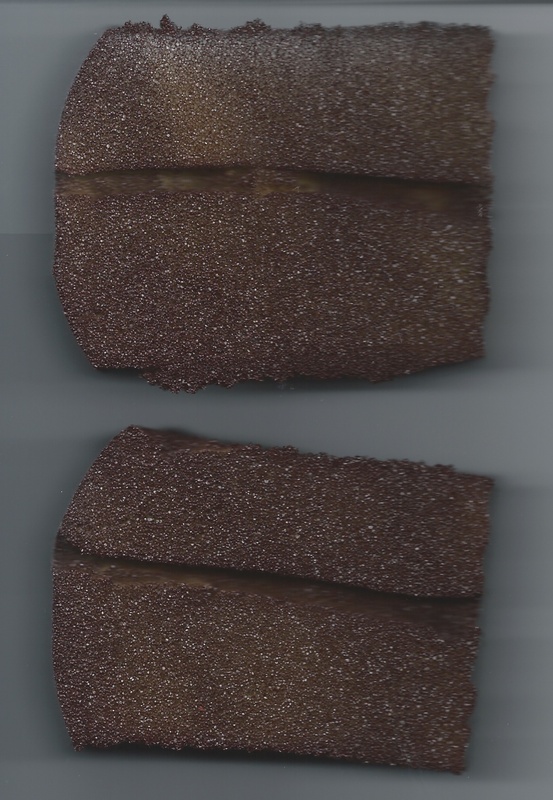 cheap yellow sponges sprayed dark chocolate. 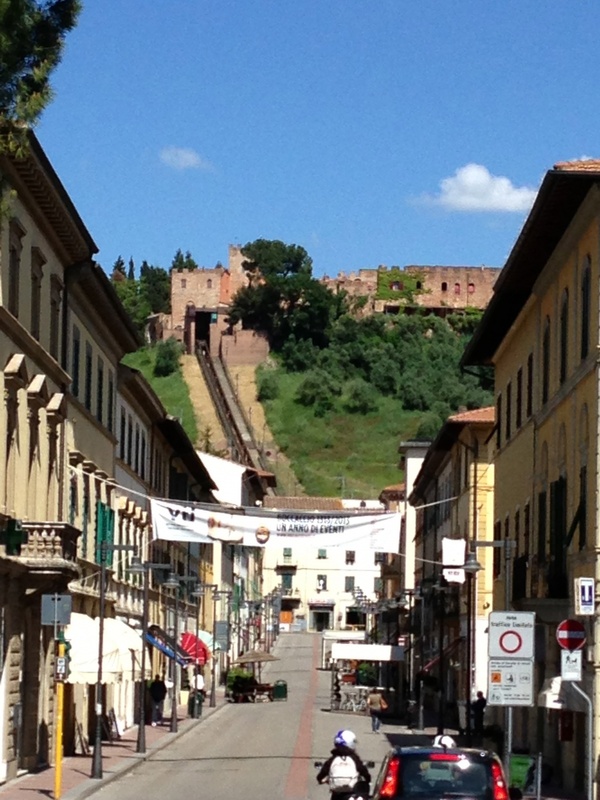 Ok… well I returned from Italy on the 31st of May and then left for Washington on the 5th of June which was right ahead of the tropical storm which at the least gave my area a lot of rain. It was a wonderfull trip but a few tips…one Italians don’t use wash cloths…yep no matter where we went we had no washcloths and my hubby , my self and a friend all found this very difficult…by accident we entered a baby store ( my friend Stephanie’s daughter is pregnant and we found washcloths only they were calling them bambino clothes are there were to use to bath a baby…no matter we bought the last 3 they had…lol. Next thing is that no matter how much clothes you think you need TAKE LESS…we did our traveling by train and you must put your luggage up in an overhead bin and my poor hubby was stuck heaving 24″ suitcases up in those bins after 21 days he now had arm muscles he never knew he had. 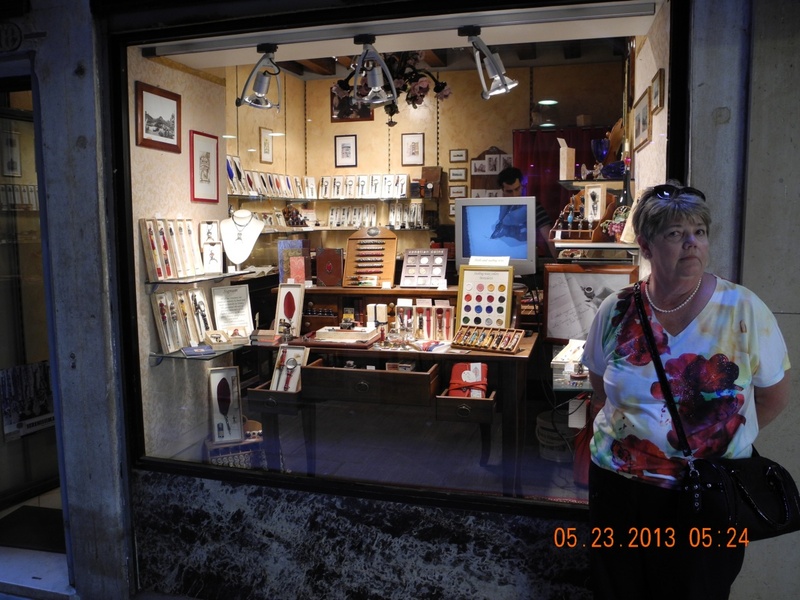 Some of the places we went were Rome, Florence, Venice, Lake Como and Milan. It was a great trip but we were exhausted by the time it was over and then we had to come back and laundry and repack to head to WA. The weather here is great much cooler than Florida and my mountain, RAINIER was out to greet me upon my return. It just doesn’t get any better. OK enough for this week and no I didn’t get a chance to actually make a cake ..but I do have the supplies and I have the sponges cut …just need to finish…. keep your fingers crossed that nothing comes up today and I’ll have at least one…JUST CLICK THE BLUE LINE AND IT WILL TAKE OUT TO HIS IMAGES AND THE GARBAGE TRUCK THAT HE HAS TURNED INTO HIS HOME.. 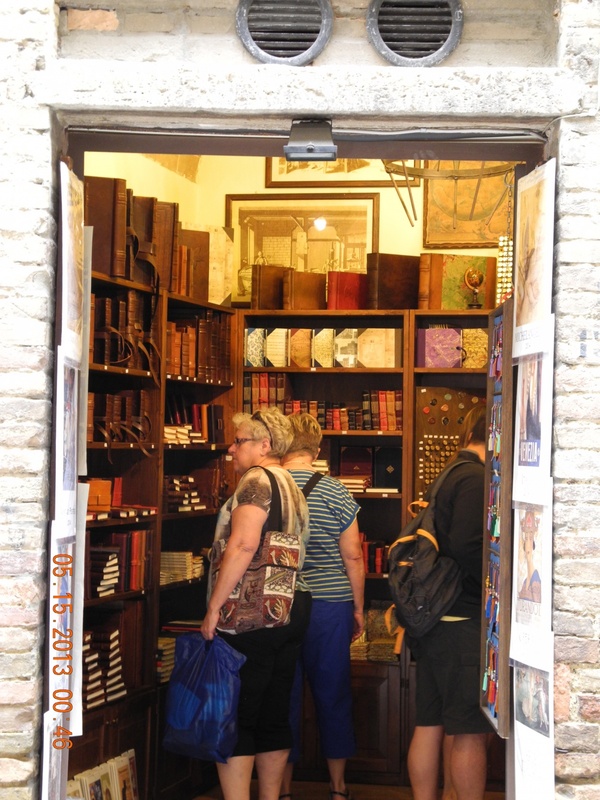 This entry was posted in Cards, Eye Candy, Folding/Origami, HUMOR, Travel by kath. Bookmark the permalink.